Chris at Calmgrove and I will be hosting WITCH WEEK this year, and it all starts on 30 October, just in time for Halloween and then ending right after Guy Fawkes Day (aka Bonfire Night). Want to know more about the image in our WW2018 logo? Chris explains it here. Two blogs hosting the same event! The only way WW2018 could be better is if you join us for a week that celebrates fantasy fiction and this special time of the year, when almost anything fantastical can happen. 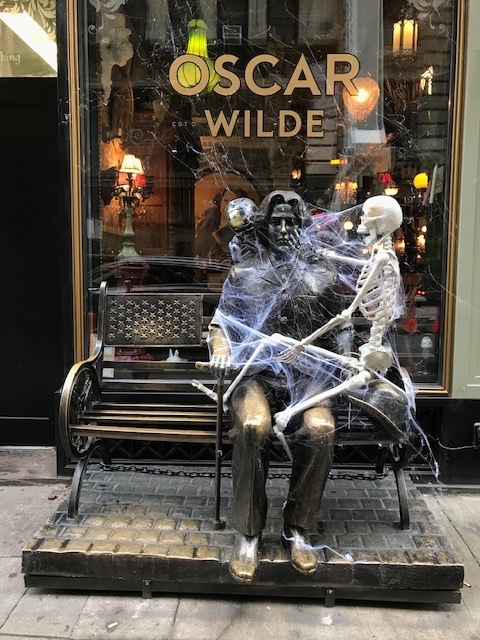 Oscar Wilde is getting into the proper spirit. How about you? This entry was posted in Fantasy, Witch Week. Bookmark the permalink.